Situated in a town called Brodick on the Isle of Arran. 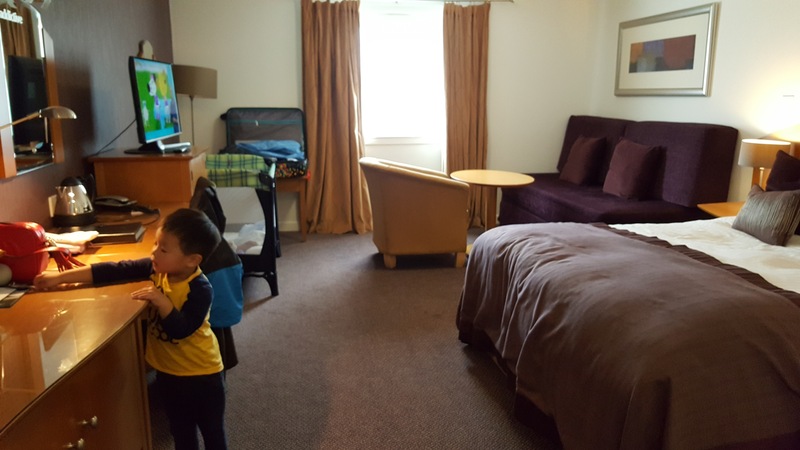 Auchrannie Resort it is known as too is a family owned hotel that is very child friendly. 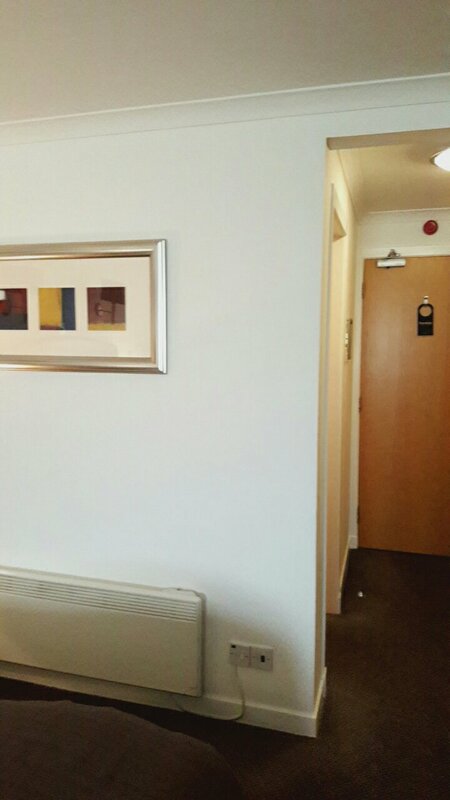 We were staying for 2 nights in a Spa Resort Double room. Check in was very straightforward, no fuss. We had asked for a travel cot for our little one and that was already in the room. The room had a fridge which provided complementary water and milk stating it will be replenished everyday. The tv was a really nice modern flat screen with all the digital channels working! The only gripe I would say is, the window curtains don’t really blackout the light – not useful having a very young child. The room was very spacious even with our cot in it. The sofa could turn into a sofa bed if required. The room had a massive wardrobe meaning you could unpack the suitcase and place it inside too. 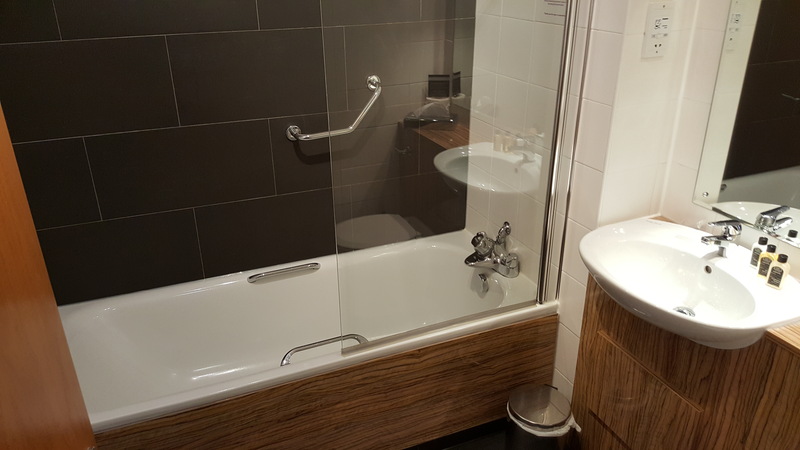 The toilet was in good condition, decent shower and a heated towel rail, useful for drying our swimming gear! Towels and complementary Arran Aromatics toiletries were provided – nice. Just a note, our room. 101 didn’t have a good wifi signal, a little disappointed with that but surprising too as it was close to the reception! You really need wifi as in that bit you don’t get a mobile data signal either. The resort had 2 pools, we only went to one located near the spa. It had a splash pool with some waterfall feature, brilliant for a 2 year old. The pool was pretty warm, not freezing like others we’ve been to. You can ask for floats and arm bands which they happily provide use off free of charge. The restaurants were fab, we had a meal in both Cruize and Brambles Seafood restaurants. 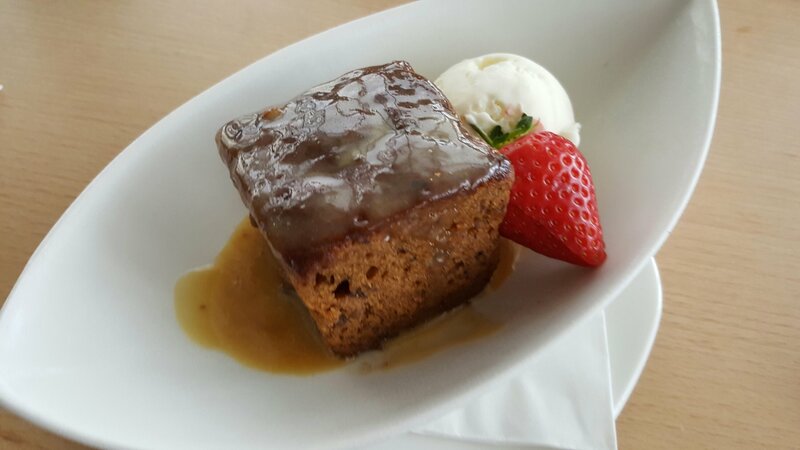 My dessert from Cruise, amazing toffee sticky pudding. 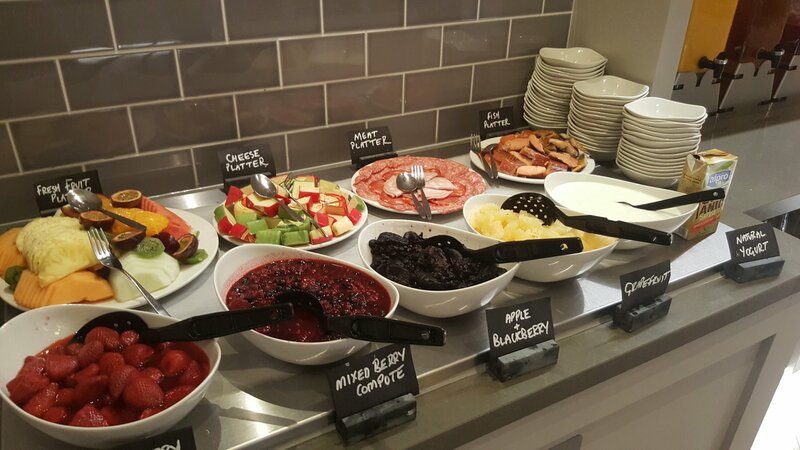 Breakfast is served in the Cruize restaurant for those staying in the Spa Resort. The breakfast itself is very decent being a buffet service with quality Ayrshire bacon and farmers sausages,the hash browns were to die for! There is a soft play at the resort too, free to use for hotel guests. It has two main sections, one for 0 to 24 months, mainly a play area with a slide into a ball pit. The second section for 2 years and above, a decent size structure full of the stuff with a big slide! There are also a few car types rides too – you have to put coins into these. 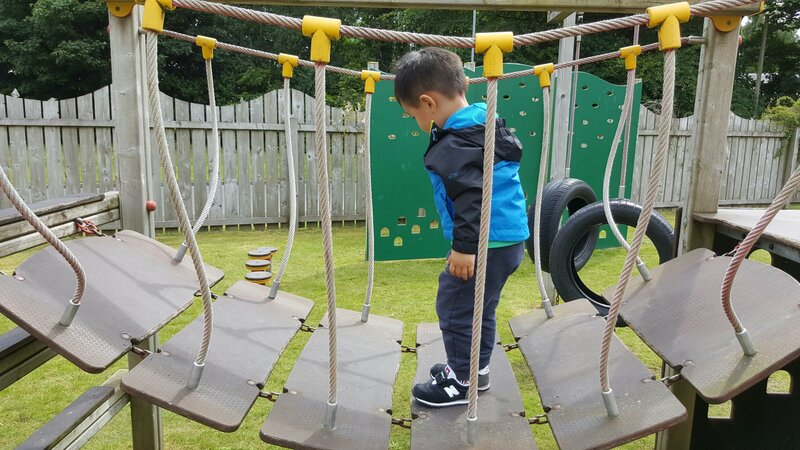 Part of the soft play is a little outdoor park type thing – slide, climbing frame etc, good to use on a nice day. Here is out wee man doing his thing! I hope this brief review is useful for you, I would definitely revisit his place. I loved how the resort had so many things quite close to each other. The staff was amazing and we couldn’t ask for any better hospitality.